Point 1 - Our own work methodology. 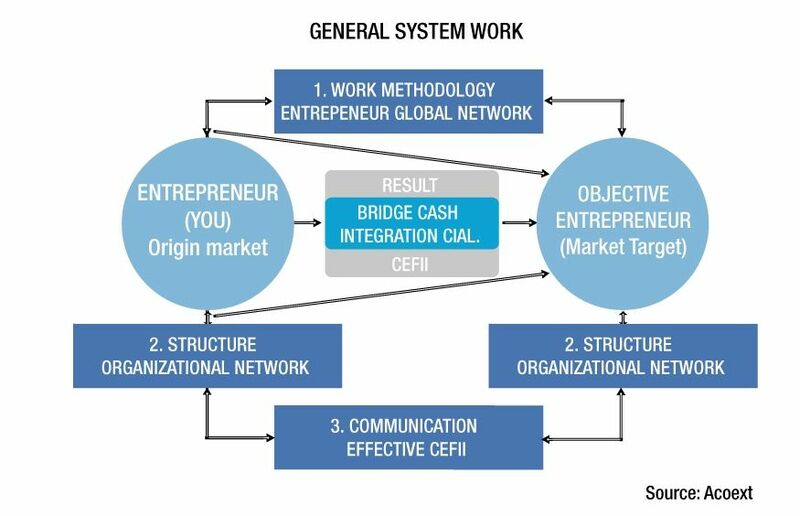 – “Global Entrepreneur Network”: Our methodological proposal, based on the ICT, evaluates and analyses the current market situation in an integrated, cooperative and effective way. It is a proactive way of acting. Point 2 - Organisational structure in networks: We have our own structure that allows us to have interdependent relationships with professionals and institutions that promote exporting and SME internationalisation. Point 3 – CEFAI: It is an effective communication node that orientates and coordinates (with our partners and contributors), the execution of different projects, having as a result the permanent evaluation and control over them. Value proposition, we give special importance to the destination market. Here is where we appoint the variables, especially those that impair your company to establish marketing and foreign relations: the economic-social ones. The three types of services fulfil the different stages in the roadmap of a SME’s internationalisation process: Awareness, Beginning and Consolidation. We are specialised in four categories of services: International Marketing, International Support, outsourcing área export/import and International investment search. Origin closeness: the fact that our headquarters is in Spain makes the direct contact with our clients easier resulting in an effective communication. 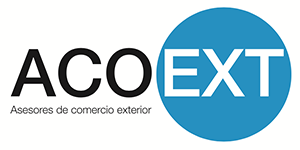 Market specialisation: we focus our attention on import and export projects as well as internationalisation related activities aimed at Latin America. Destiny closeness: our organisation has partners representing us in the area, allowing us to know our clients and markets in the different regions of Latin America very well. High-quality in the proposed services: we focus on offers that can address utility, efficiency, security, personalisation and good communication values for our client. Effective communication without barriers: entrepreneur, you are our raison d’être, and that is the reason why we have a web 2.0 project. That project is the node of communication to follow the projects and the working method that our communication system prioritises. Customized: our services are customised and adapted to every single SME. Simultaneous and coordinated work in the markets: this system allows a better resources rationalisation.